CIT provides a wireless service for staff called Eduroam. 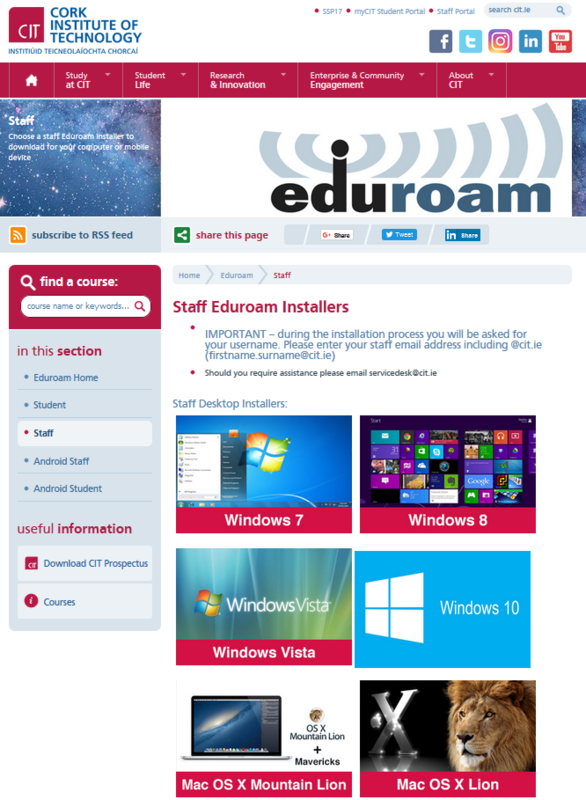 Staff wishing to use the CIT Eduroam Wifi network must configure their devices using the appropriate installers which are available on the IT Services website. Select your group from the drop-down menu (e.g. CIT-Staff), then log in using your staff username (in the format firstname.surname) and password, as you would to log in to your staff email or to computers on campus.